Whether you like it or not, Lexus is sticking with its current styling language for the foreseeable future. Some call it genius and striking. Others say it’s just plain ugly. And now Australia’s Motoring has confirmed that Lexus will build a production version of its compact UX SUV concept, which debuted last September at the Paris Motor Show. Motoring caught up with Lexus international executive vice president Yoshihiro Sawa at Geneva who stated the following: "We are doing (UX). Please expect UX. It’s not so far away." Like previous Lexus concepts bearing this wild styling, we can expect for the UX production version to be toned down, as was the case with the currently on sale compact NX. The UX will serve as the luxury brand’s subcompact crossover offering, and will square off against the likes of the Audi Q3. More than likely, the UX will share some underpinning with parent company Toyota’s own subcompact CUV, the C-HR, which also shares some components with the Prius. In other words, the UX is almost certain to be offered with a hybrid option, alongside a small, and likely turbocharged, gasoline engine. 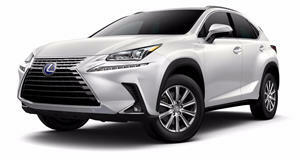 Lexus is also anxious to get the UX into showrooms because it wants to expand its appeal to younger affluent buyers. 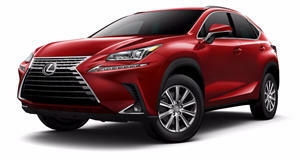 "Except IS and (the) small car CT, Lexus owners are aged, when it comes to high-end and high loyalty," Sawa elaborated. No exact date was provided as to when UX production will get underway, but the crossover segment is red hot these days, so Lexus is no doubt working overtime to get it ready. Don’t be surprised if we see a near production ready concept sometime next year. Look out Audi, Mercedes, and BMW, the NX is here to steal your throne.